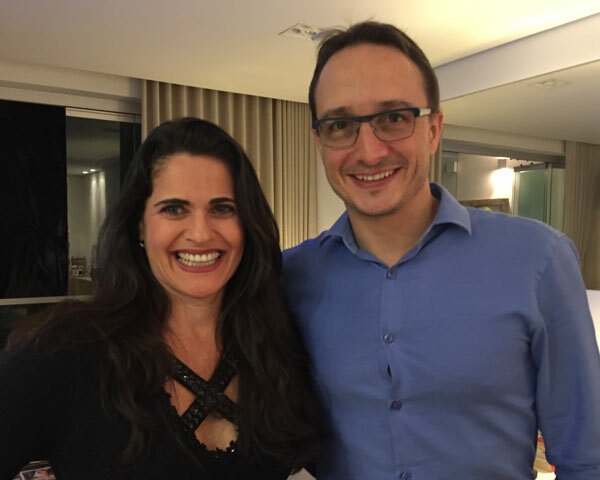 Dr. Djenane Ramalho de Oliveira and Dr. Mateus Rodriguez Alves are leaders in the healthcarefield, using their studies of pharmacy to transform medication use and patient-centered care in their home country of Brazil. Oliveira and Rodriguez were jointly recognized with the Distinguished Leadership Award for Internationals, as they not only work closely together in their professional pursuits, but are also a married couple. Dr. Oliveira earned her B.S. in Pharmacy and M.S. in Physiology from the Federal University of Minas Gerais (FUMG) in Brazil. She then worked as an assistant professor at FUMG before traveling to the U.S. to enter the University of Minnesota’s Ph.D. in Social and Administrative Pharmacy. Her Ph.D. dissertation, “Pharmaceutical care uncovered: An ethnographic study of pharmaceutical care practice,” would go on to inspire her future work in patient care and medication management. Today, Dr. Oliveira is a professor and researcher at FUMG and an adjunct faculty member at the University of Minnesota. She has been awarded the highest honor in pharmacy in Brazil, authored three books, and published 41 articles. Dr. Alves earned his B.S. in Pharmacy from the Lutheran University of Brazil and worked in the specialty field of HIV/AIDS for several years before entering the Ph.D. in Social and Administrative Pharmacy program at the University of Minnesota. His work experience helped inform his dissertation, “The medication experience of people living with HIV: From the understanding of the meaning of medication to the development of a conceptual framework of medication experience.” After returning to Brazil, Dr. Alves completed a graduate program focused on project management. He is now pursuing an Executive Masters of Business Administration at a highly ranked business school in Brazil. Together, Dr. Oliveira and Dr. Alves have worked as a team to promote pharmaceutical reform. They believe that knowing a patient’s feelings, thoughts, wishes, and concerns associated with taking medications is a crucial part of integral, ethical, and patient-centered healthcare practice. They jointly created the Center for Pharmaceutical Care Studies in Brazil to heighten levels of patient care, and are the first international graduates to serve on the University of Minnesota College of Pharmacy alumni board. As a team, the couple is described as competent, hardworking, dedicated, passionate, and kind. In naming Dr. Oliveira and Dr. Alves as joint recipients of the Distinguished Leadership Award for Internationals, the selection committee acknowledges their innovative and care-centered contributions to the pharmaceutical field in Brazil and abroad, and looks forward to their future work.